$125/hour including face painting and balloons! 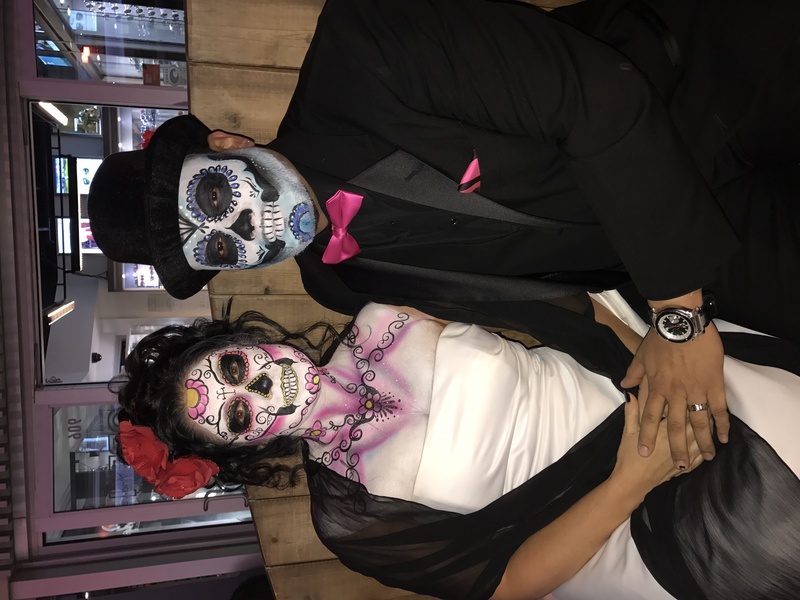 We are proud to provide the highest quality Face Painting, Balloon Twisting, Temporary Airbrush Tattoos, Glitter Tattoos, Henna, Magic, Clowns, character visits including Elsa, Mickey and more! We would Love to be a part of your next event so please give us a call. Lucy was the highlight of my party!! My Granddaughter is wild about Moana! 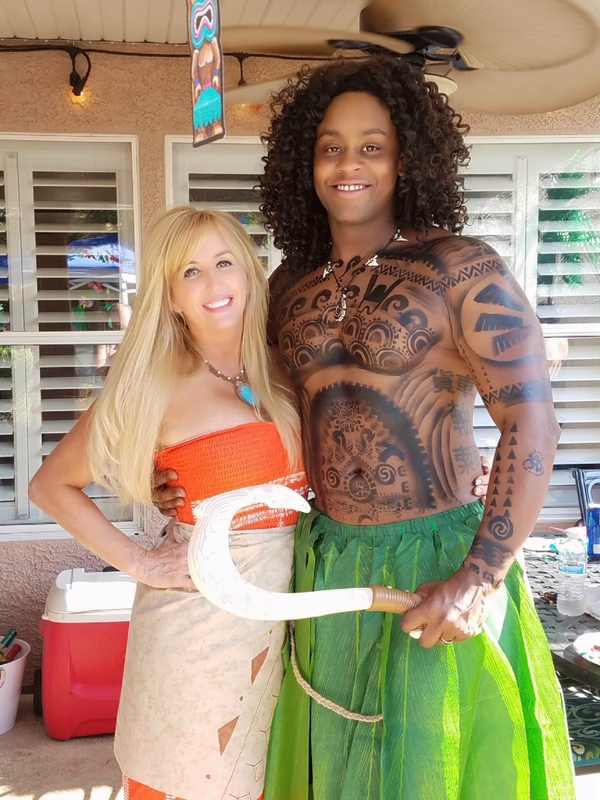 I reached out for a face painter/body painter who could transform my husband into Maui, as well as create tribal tattoos or traditional kid's facepainting for the 15 kids attending. Lucy arrived on time and was able to create this original "masterpiece" in less than half hour! 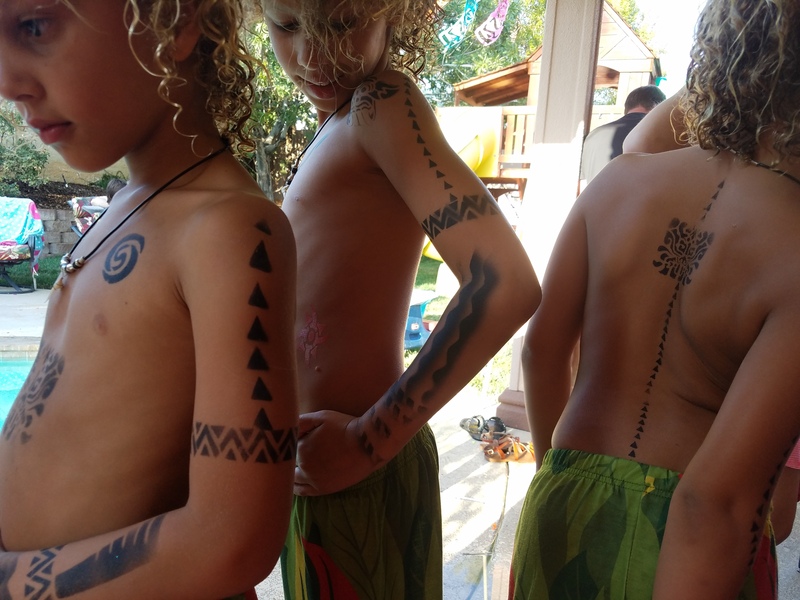 She then patiently tattooed all the children and several adults! She worked quickly and beautifully, making suggestions and custom designs as requested. She used a waterproof product, as it was a pool party, and the face paint/body paint stayed on all day in the water, no problem! I highly recommend Lucy, i will definately use her again! Amazing artwork, amazing with kids! She showed up on time and completely prepared. Her artwork was beautiful and all of the kids loved her! You could really tell that she took pride in her work and has spent a lot of time perfecting her art. We will definitely be using Amazing Face Painting again next year! Very talented, and so sweet with all of the kids! Beautiful work, and so patient and sweet with all of the kids. Thank you! Wow!! Tracey was great!!! 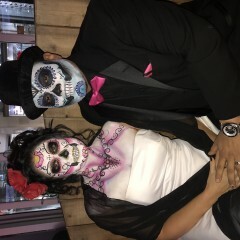 My husband and I were in Vegas for our wedding in Halloween and later that day she did our makeup !! Day of the dead I brought a pic and she copies them !!! Awesome job!! Highly recommend ! I'm a photographer that's worked with Lucy on several different occasions. She's extremely talented and only uses products that are specially made for face and body painting and therefor is safe to use on skin for extended lengths of time. Living up to their name...AMAZING! When you decide to name your business Amazing Face Painting, you set the expectations pretty high right from the start. Well, Amazing Face Painting is AMAZING. I'd highly recommend them for a party or event. They are professional, friendly, efficient but not rushed, and the quality of their face painting is terrific. They are able to work with kids of all ages, while creating a wide variety of highly detailed designs (with a board to choose from). Awesome. We had a company picnic with 150 employees and families. 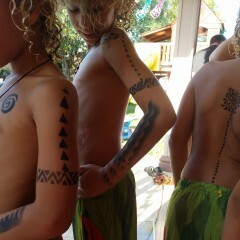 It was our second year inviting Amazing Face Painting to be a part of our event and they did spectacular job! Lucy and Megan do amazing work and are so good with the kids; even the ones over 18. We'll definitely book them again next year. Price Range: $125/hour including face painting and balloons! Insurance: $1,000,000.00 - All inclusive and available to add event as additionally insured. We're not your average face painters and balloon artists Boo Boo! We Love what we do and it shows! We've been told we're patient, fun and great with the kids! In addition, our artwork is of the Highest Quality in Southern Nevada. We use only the best cosmetic grade face paints, glitter, special effects, and airbrush paints! Our balloon twisters will pretty much blow you away too! Superheroes, Princesses and Aliens oh my! Feel free to call or text us anytime to chat about your upcoming event. We'd love to hear from you! 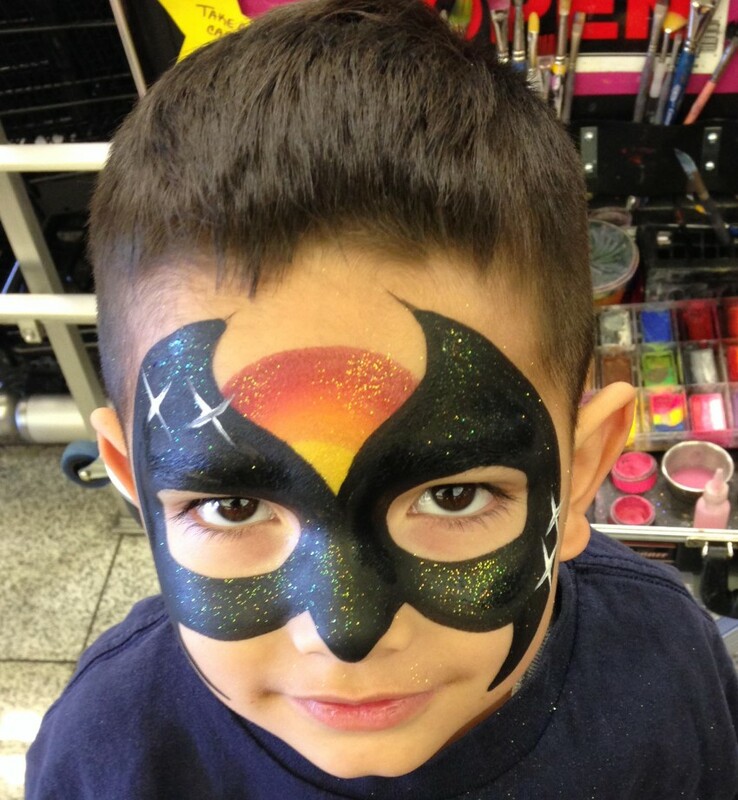 We have decades of experience putting smiles on children's faces and proud to be the highest quality face painters in Las Vegas. Feel free to review a couple of our reviews below from our satisfied customers and hopefully that'll help make your decision to book with us! 'When you decide to name your business Amazing Face Painting, you set the expectations pretty high right from the start. Well, Amazing Face Painting is Amazing. I'd highly recommend them for a party or event. They are professional, friendly, efficient but not rushed, and the quality of their face painting is terrific. They are able to work with kids of all ages, while creating a wide variety of highly detailed designs. Awesome. We only use the highest quality FDA approved Cosmetic Grade Face Paints...the same ones used at Disney and Lego Land! 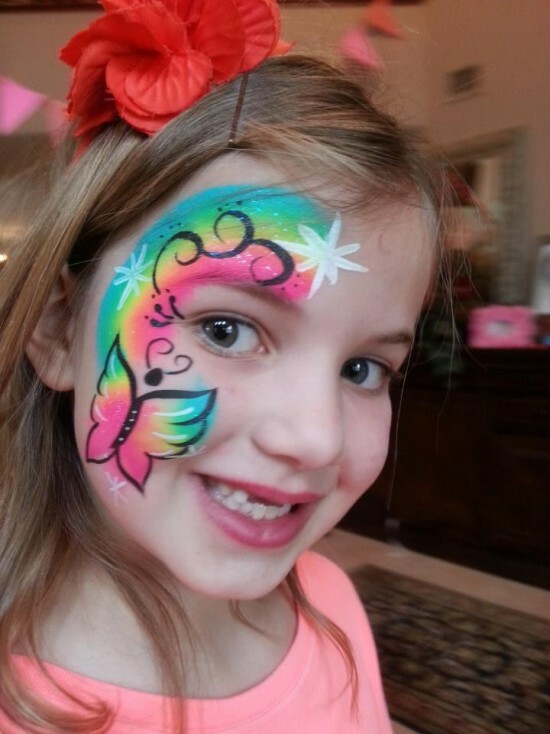 We offer Amazing face painting, airbrush tattoos, glitter tattoos and balloon twisting. In additional we always bring along our own table and chairs on the big day because we know all too well they are a valuable commodity on party day! All we'd need is about a 10 foot space to set up! We have worked for years with Robin Slonina, celebrity face and body painting artist, who was a huge influence on us! 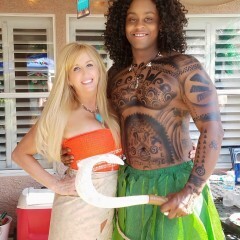 Body art, face paint, glitter tattoos, henna, costumes, prosthetics and theatrical makeup are our specialty! Electricity for airbrush tattoos. Shade for outdoor events. Canopies and/or generators are available for a small rental fee.